CJ Kelly is tall, blond, beautiful and sixteen years old. When CJ dresses up and sneaks to Manhattan with best friend Janis, New York embraces the beauties, treating them like models—every teenage girl’s fantasy. In New York, CJ feels like he belongs, allowed to live like a girl, but at home in New Jersey, CJ wages war with his homophobic father and the kids at school, who can’t understand why CJ refuses to look and behave like a boy. CJ’s remarkable beauty attracts the boys at school, and this allure infuriates the popular boys into bullying CJ and making his life unbearable. The girls despise CJ for his feminine beauty, creating a perfect storm where hatred, fueled by envy, spirals CJ’s life out of control. 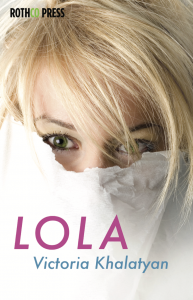 Lola documents CJ’s journey as an intersex teen, struggling through self-awareness within a beauty-obsessed culture, where homophobia trumps all, even a beautiful face.